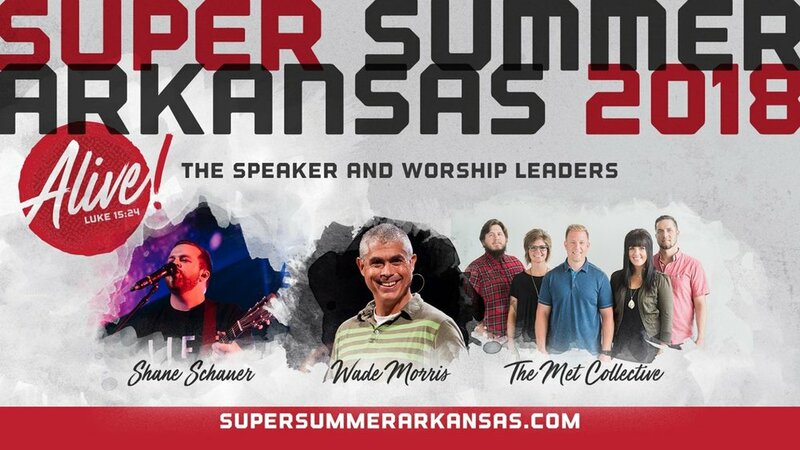 This year, the Conway Perry Baptist Association will attend Super Summer Arkansas with 7th-12th grade students. 1) Download form below or pick one up from your church group leader. Fill out the Registration Form and turn it in to your church group leader. Church group leaders, please turn the forms in to the Conway Perry Camp Director Jeremy Williams at Houston Baptist Church. 2) Make arrangements to pay fees with the church that you will attend camp with. Super Summer Arkansas is a camp sponsored by the Arkansas Baptist State Convention, with funding provided by the Cooperative Program. Super Summer Arkansas takes place each summer on the campus of Ouachita Baptist University, in Arkadelphia, Arkansas. It is split into two camps: Super Summer JV, serving campers who have completed 7th-8th grades, and Super Summer, serving campers who have completed 9th-12th grades. Both camps have adult leaders who attend one or both camps as adult chaperones. Every camper is assigned a specific college-aged staffer who will be there to facilitate small group discussions and recreation. Adult sponsors will be required for church groups at a ratio of 1 adult per every 10 students.